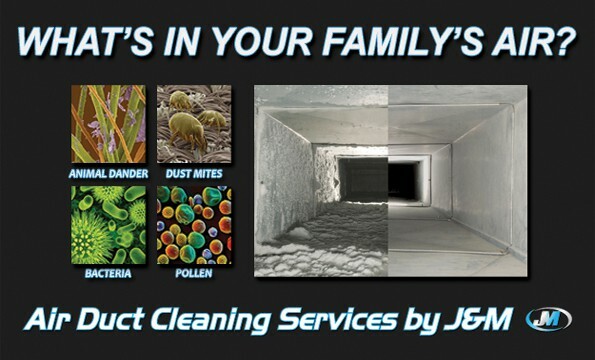 J&M Services has a full-service duct cleaning process to help the air quality in your home. There are a number of reasons for why you should have your ductwork serviced on a regular basis. However, we get asked how it all works. For many of our first time duct cleaning process clients, they are kind of unsure how the process of an air duct cleaning service works. We wanted to take just a minute to explain our process and make sure that you know what to expect from us, or from any other reputable air duct cleaning company. The first part of the air duct cleaning process begins before we even arrive. When you call or email us to set your appointment we will get you on the schedule with a specific day and time window on that day. We will call you when we are on our way to your home or business to confirm with you our time of arrival. Once we arrive on site we will do an initial walk-through of your home or business to locate all of the vents and returns. Once our walkthrough is complete we will address any questions or concerns with you, is their furniture in the way, can it be moved during the process, are any of the vent grills painted on? 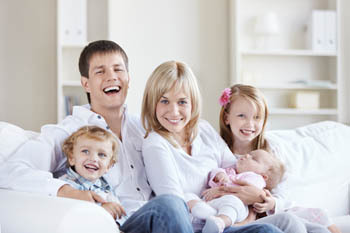 We want to make sure we have addressed any items ahead of time with you to make sure that you are comfortable and confident in the air duct cleaning service that is about to begin. At this time we will also make you aware of any additional services that you may wish to take advantage of, for example, a dryer vent cleaning service, or bath fan cleaning. We hope to answer your questions about our air duct cleaning process in this post. The first step in the process is carefully removing the grills. We take special care during this process many times the grills will have just a bit of paint that has them attached to the sheetrock. If this process isn’t performed with care damage to the wall or ceiling can occur at this point. Once we’ve removed the grills we take them all and wash them by hand, no sense in cleaning out the ducts and leaving a dirty grill behind. Next we prep the areas where our machine will be working, we lay down drop cloths to contain the mess and to protect and furnishings that may be in the area. We bring in our portable Rotobrush machines and go to work, thoroughly cleaning each vent and section of ducting in your home or office. Once we’ve completed the process we reinstall your cleaned grills and tidy up our mess leaving your space spotless just like we were never there. This process will generally take about 2 to 3 hours for us to complete. Sometimes during the course of an air duct cleaning process, we’ll find a problem, many times that the customer was unaware of. If there is an issue we address it with the customer right away, many times it’s a minor issue like a duct line has separated or there is a tear in some flexible ducting. Most of the time we can fix the issue for the customer while we’re there and we offer significant discounts on these repair services because we’re already there saving them time and money. We also offer as a courtesy to our clients a few other services at no charge, if they have a new filter for their furnace we will happily swap that out with the old one once we’ve completed the air duct cleaning service. We also offer free crawl inspections, if you’re in an older building or just haven’t had anyone in your crawl space to check things out this is a great service to take advantage of, we find some small issue about 1/3 of the time. These issues are usually a quick and easy fix, but left to linger could lead to larger more expensive problems in the future. We hope this gives you a little better idea of the process that we use, we look forward to earning your business. Feel free to call us today 503.680.0185 or Email Us to schedule your air duct cleaning service.